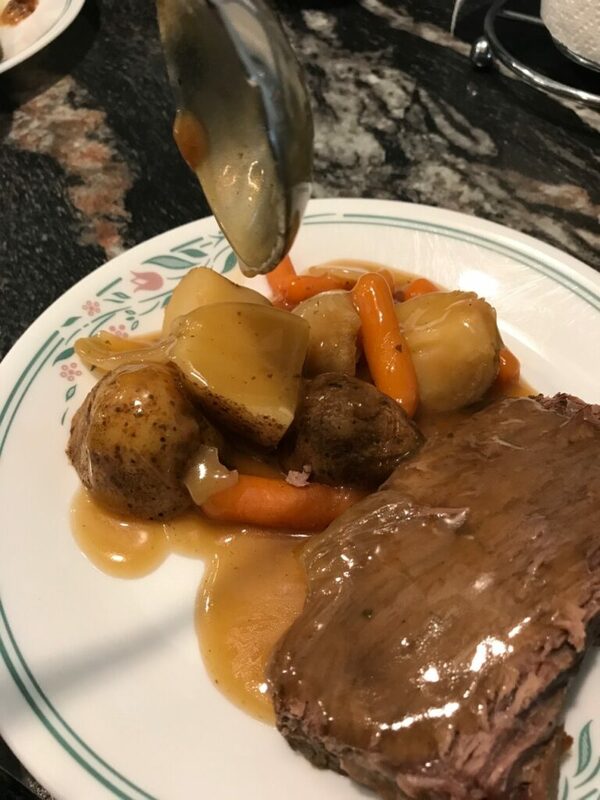 Ask any Instant Pot owner for a favorite recipe using their pressure cooker, and time and again you discover many claim this pot roast as a favorite. 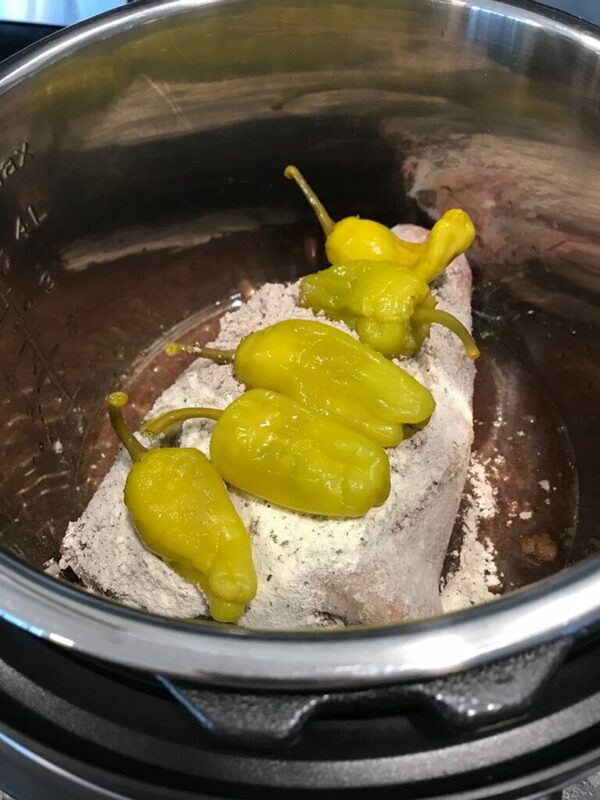 Often called Mississippi Mud Pot Roast, this Instant Pot Pepperoncini Pot Roast recipe is a staple. Pepperoncini give it just a touch of heat while the ingredients come together in a flash, making it a recipe you will come back to many times over. Pepperoncini are a mild Italian pepper that are typically pickled and readily available. 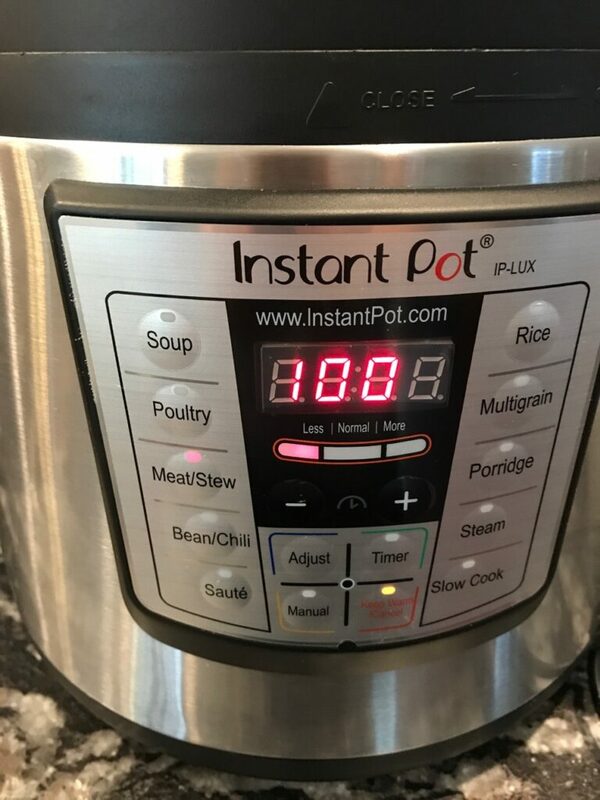 Traditionally made in the crock pot, this Instant Pot recipe takes less time and gives amazing flavor. What I love is that the meat can be cooked right from frozen, so no worries if you forgot to thaw that huge hunk of meat. I add 10 extra minutes to the total time if my pot roast is frozen solid. 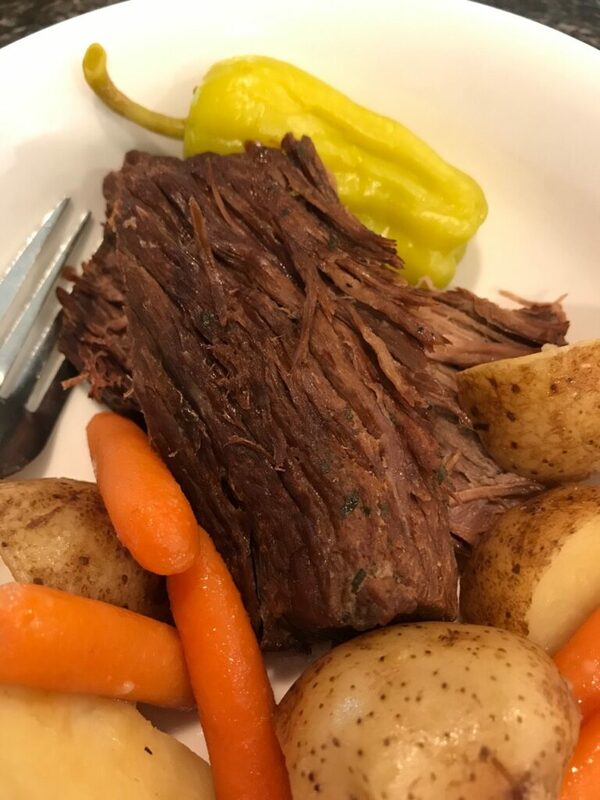 Traditional Pepperoncini Pot Roast calls for a stick of butter but I leave it out to save calories and I’ve seen no difference in the final result, especially when using the Instant Pot. 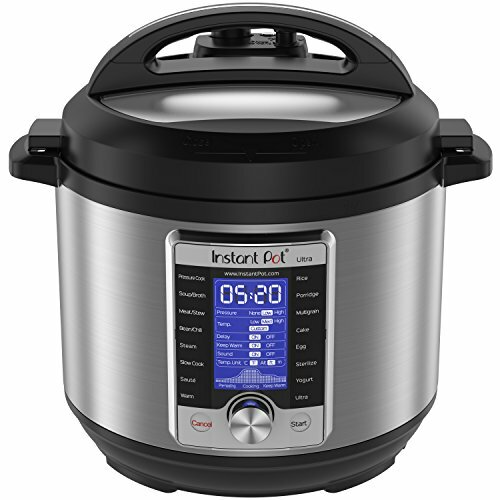 The Instant Pot pressuring cooking method gives me wonderful tenderness. 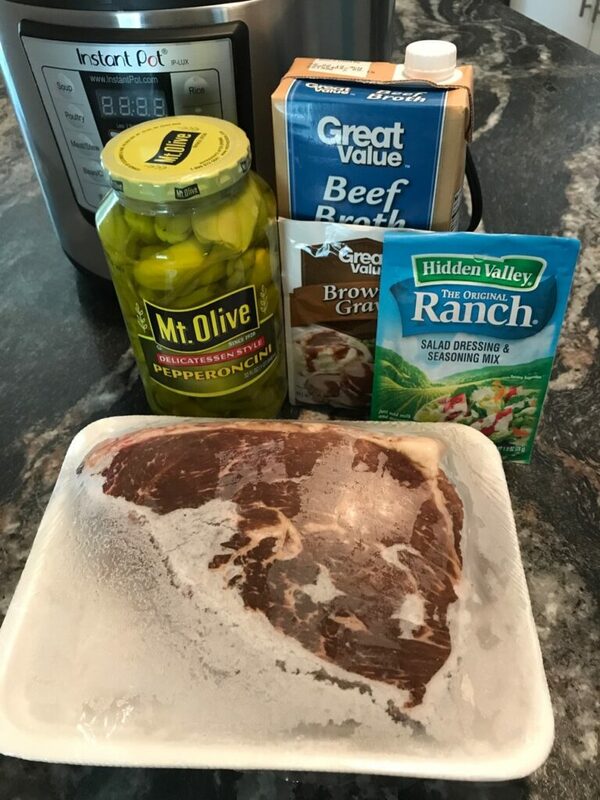 If you are worried about the heat in this recipe, substitute the pepperoncini juice for more beef broth, but don’t leave the pepperoncinis out entirely since they give a wonderful depth of flavor. 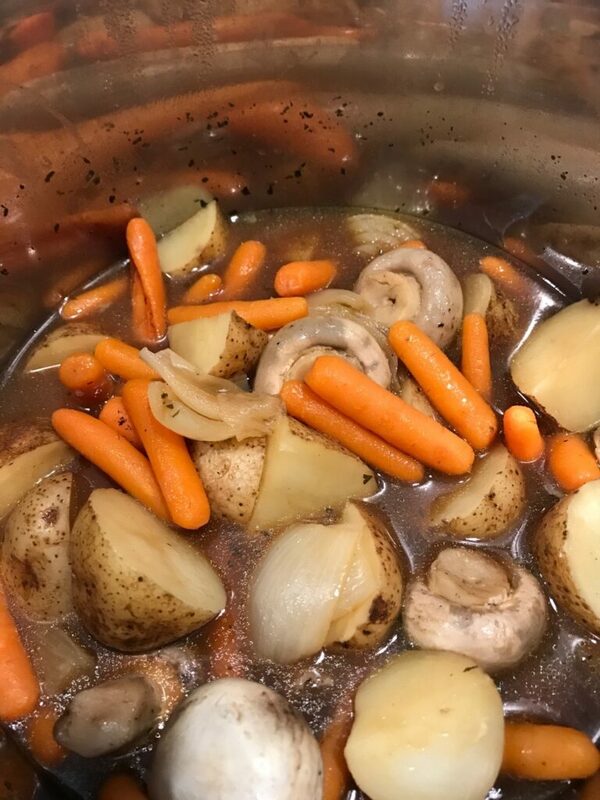 If you prefer not to use seasoning packets, which do have questionable ingredients, check out this recipe for Homemade Onion Soup mix as an alternative. This pot roast is 7 points for 3 ounces of meat. One serving of vegetables (approximately 1 cup) potatoes, carrots, onion, and celery with broth/gravy is 4 points. This brings the total to 11 freestyle smart points per serving. Points calculated on WW app on 2/2019. 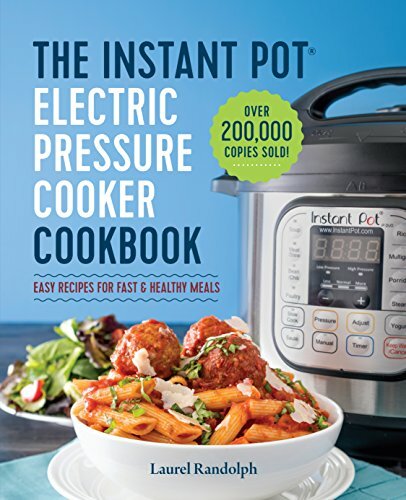 Be sure to check out my Instant Pot series, especially if you are new to Instant Pot cooking. Your family will love this tender, slightly spicy pot roast recipe. This absolutely delicious pot roast is an Instant Pot classic. With a hint of spice and moist, tender meat, you will make this roast recipe many times over. 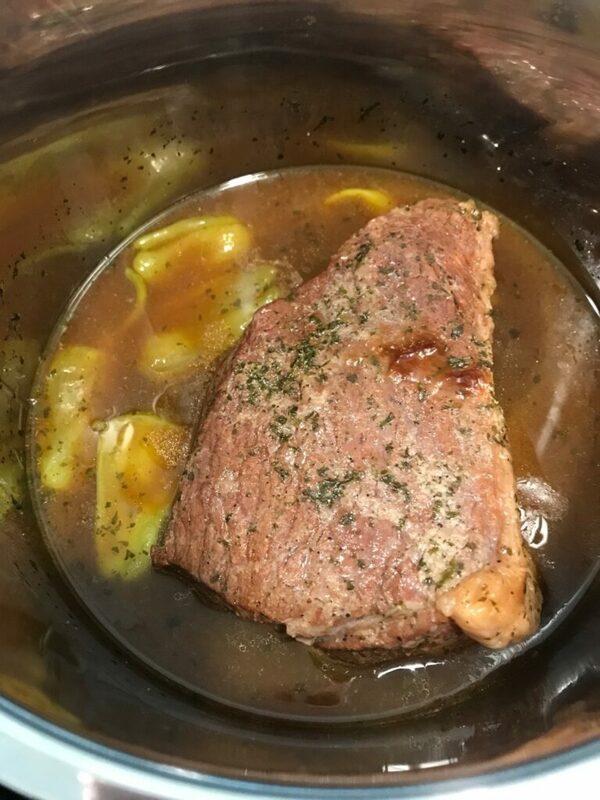 Pour beef broth and pepperoncini juice into the Instant Pot. 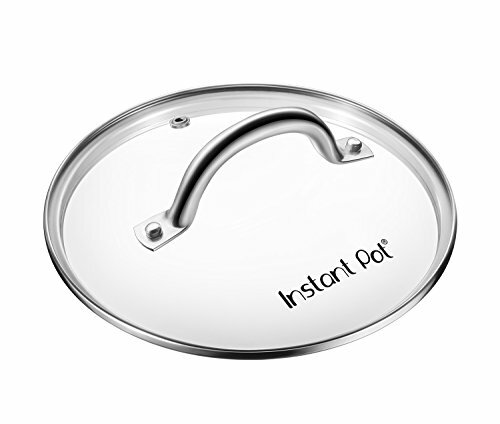 Close and lock Instant Pot lid. Cook on "manual" setting for 90 minutes. 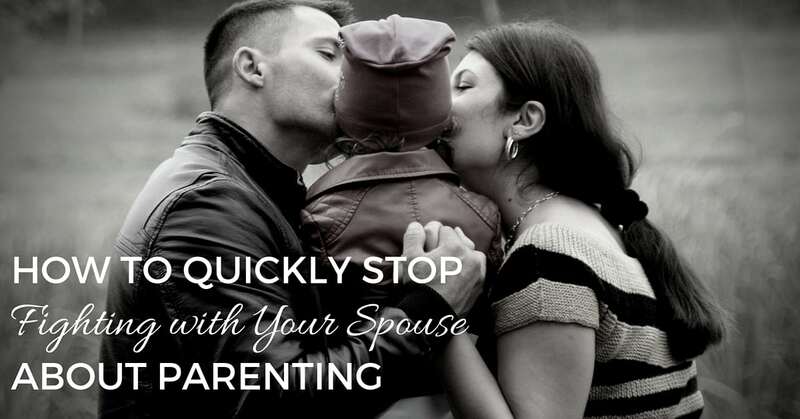 Natural release for 15 minutes, then quick release and serve. Gather your ingredients. 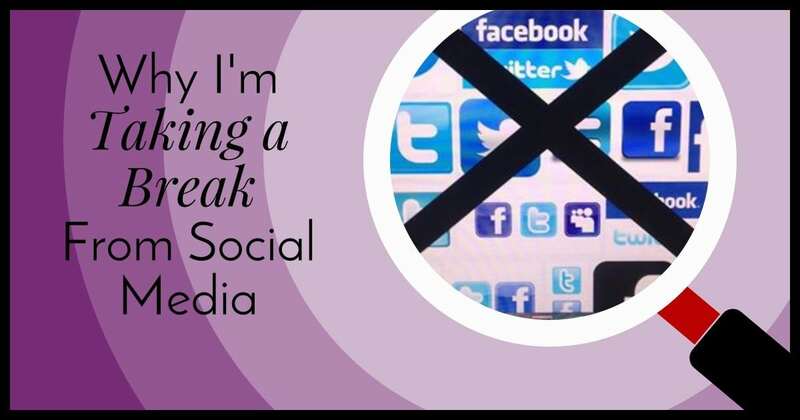 I now keep the ingredients for this roast on hand and watch for the meat to go on sale. 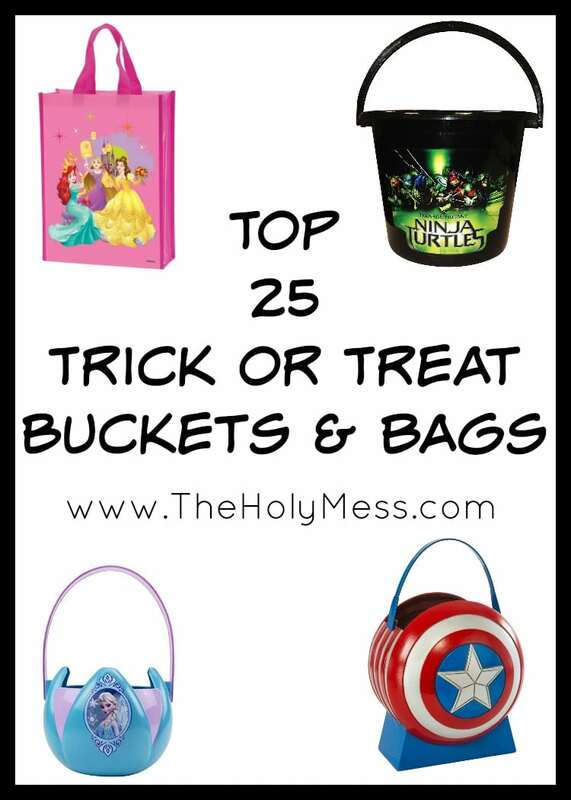 It’s become a staple at our house. Add roast to pot. Saute on 5 minutes per side if desired, but not required. Pour on beef broth and pepperoncini juice, top with seasonings and pepperoncinis. 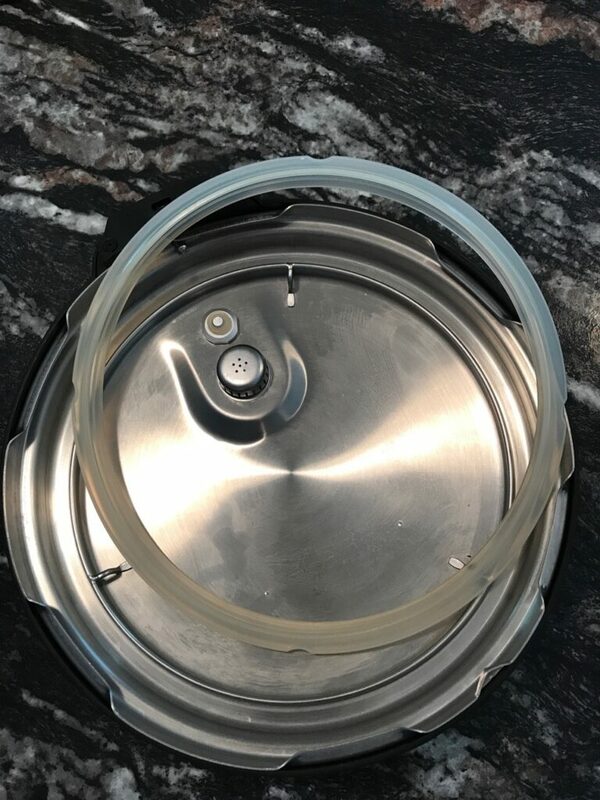 Be sure your sealing ring is all the way inside the lid. Note: this recipe will give your sealing ring an odor. 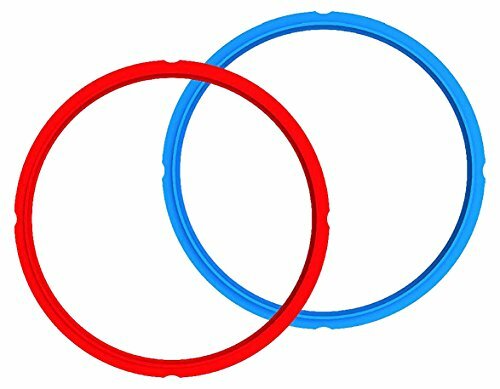 Eliminate it by hanging the ring outside in the sun for several hours. 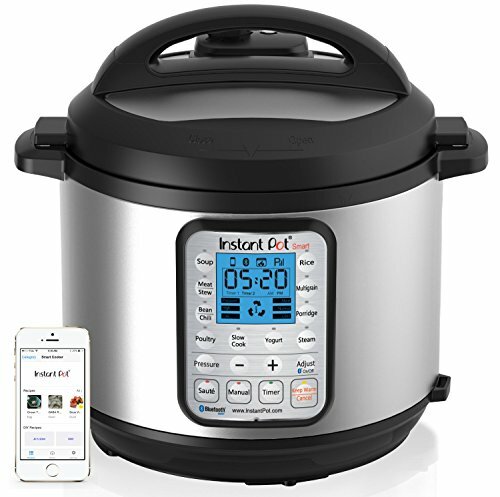 Some people also purchase a separate Instant Pot ring for savory foods and one for sweet foods. Set your pot on “manual” or “meat/stew” for 90 minutes if meat it thawed, 100 minutes if frozen. Roast can be served with mashed potatoes, rice, pasta, or a veggie mix. To cook vegetables, remove meat from pot while broth remains. Add potatoes, carrots, and if desired mushrooms. Cook on “manual” for 3 minutes. Check potatoes for doneness and cook 1 minute more if needed. 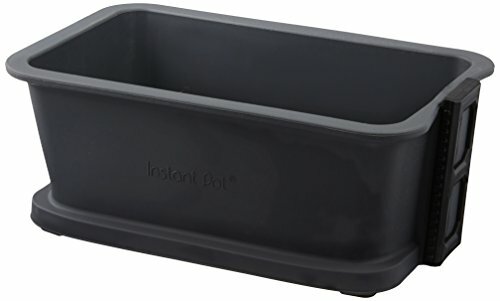 Remove vegetables from pot, if using. To make gravy, turn pot to “saute” and allow juices to come to a boil. Add a mixture of 5 T water/1 T corn starch. Cook 3-5 minutes or until thick.